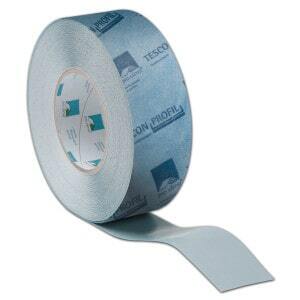 Flexible multi-purpose corner tape for windows, doors and corner joints from Pro Clima. Simplifies the sealing of angled joints thanks to two release paper strips, which allow the activation of a single part of the adhesive surface and to seal corners junction by junction. Material Acrylate which is free of solvents or softeners.